Background: Central venous catheter-related infections (CVCIs) in patients on maintenance hemodialysis (HD) have been documented due to unsafe/unsterile manipulations by nurses during HD machine deconnection and reconnection. 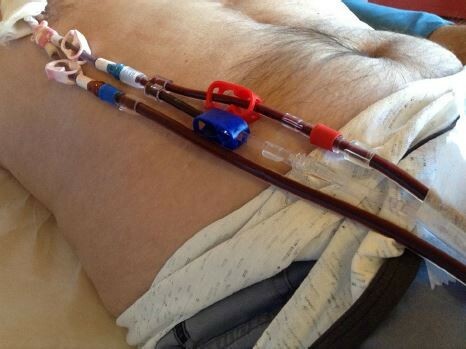 Given the gravity of CVCIs in HD patients using catheter access, precise, safe installation of the device, and good nursing technique are crucial. Aim: To assess and compare safety performance and complications of a Y-connection (n=133) versus the usual tunneled central venous catheter (CVC) technique (n=73) among HD patients and then explore preferences between techniques among patients and frontline HD nurses. Materials and methods: A prospective, comparative, 3-month point prevalence survey was conducted among HD outpatients and frontline HD nurses in a 600-bed teaching hospital in the canton of Valais. Results: Nine HD outpatients (average age, 68.3 years; SD=12.3) were recruited. The two techniques showed no differences in C-reactive protein levels (p=0.465), pain (p=1.00), or local complications due to dressings soiled by exudate at the catheter insert point (p=0.066). The relative risk ratio (RR) indicated that CVCI was 1.667 times (95% CI; 0.437, 6.358, p=0.50) more likely with a Y-connection. Neither the Y-connection technique (RR 1.63; [95% CI; 0.554, 4.790]; p=0.32) nor usual CVC technique (RR 0.58; [95% CI; 0.277, 1.217]; p=0.13) were significant relative risk factors for complications. Fifty-seven percent of HD patients stated that they felt more secure and comfortable using the Y-connection technique than the usual care technique. Eleven of the 12 nurses involved preferred the Y-connection technique, feeling that is was safer and easier in use. Conclusion: No difference was found in the complication rates of two blood restitution techniques – the Y-connection versus the usual CVC technique. HD outpatients and nurses preferred the Y-connection for blood restitution.